Publisher to double marketing spend and boost live experiences. Hearst UK is planning a shake-up of Esquire that will see the magazine reduced from 10 issues per year to six, with a higher cover price, from February. From February, Esquire will feature a more modern look, a bigger format, better-quality paper stock, increased paginations as well as new sections and contributors. Esquire, which reported an average circulation of 60,456 in the first half of the year, has previously published 10 times per year, with double issues in January/February and July/August. The cover price will climb from £4.35 to £6. Hearst plans to double Esquire’s marketing spend to ensure "greater impact at point of sale and increase the focus on its dynamically distributed copies to reach a tightly targeted, high-net-worth audience at culturally relevant events, such as art and design fairs and exhibitions". A revamped Esquire.com/uk website and social channels will increase coverage of luxury, style and culture content. To coincide with the relaunch, the brand will unveil Esquire Evenings, a series of boutique events across the capital, including supper clubs, talks and masterclasses. 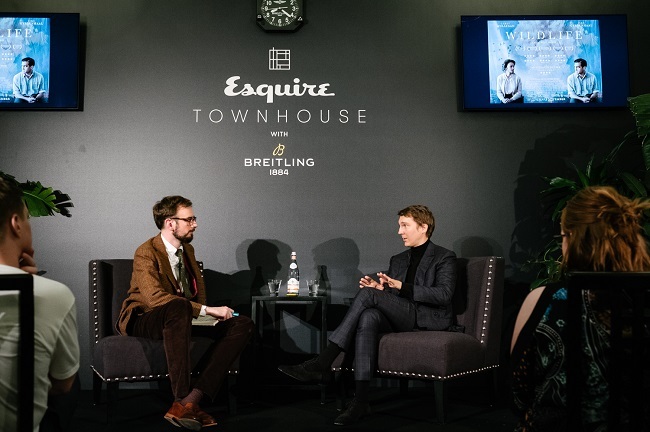 Esquire Evenings will build on the success of Esquire’s event portfolio, which includes the award-winning Esquire Townhouse, its annual four-day luxury brand experience, and Esquire Self-Made, a one-day entrepreneur-focused luxury summit, which launched earlier this year. Alex Bilmes, editor-in-chief of Esquire, said: "In a time of transformational change for media, it is right for Esquire itself to change to ensure we will be the men’s magazine brand of decades to come. The new-look Esquire is a tightly focused, proudly niche, highly specialised product, made to the most exacting standards, for an audience of committed readers and consumers who demand only the best. "Esquire does not seek to be all things to all men. Instead, it seeks to mean a great deal to a specific, extremely influential group of men, and women – worldly, sophisticated, literate, affluent, urbane – with a genuine interest in living well."